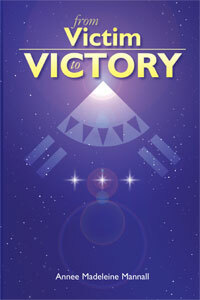 I finally got around to re-publishing my first book, From Victim to Victory. I wrote it many years ago and it has been languishing on my computer for longer than I care to admit. Then I self-published in 2005 and did absolutely nothing with it. In face, it could almost be said that I stood firmly in my own way, with doubts and fears and lack of confidence. I still find it a challenge in some ways, to expose myself as I have. I have written my story, of how a woman from a very ‘ordinary’ life discovered strange and wonderful things of a spiritual nature. Our cosmos is full of the most amazing discoveries just waiting to be found. But most importantly, I discovered a way to stop feeling that you are a victim of circumstances and learn how to co-create your own life. I share this way in my book.